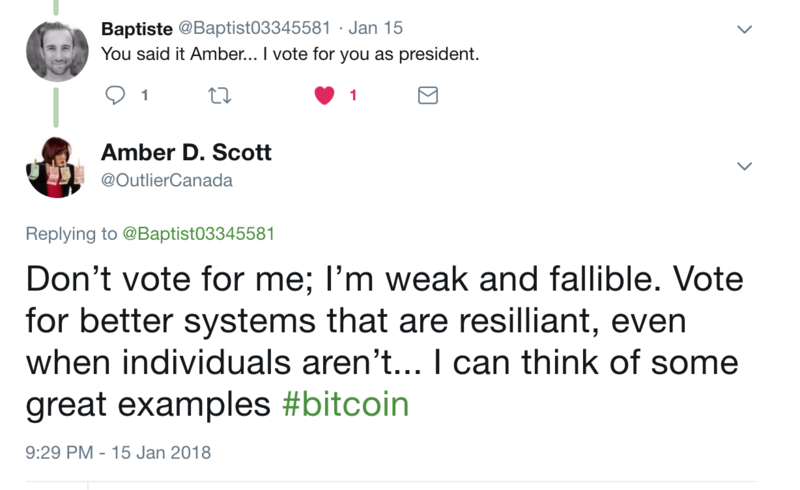 My obsession (let’s call it what it is) with Bitcoin and blockchain was born in 2013 when I updated a risk assessment to include bitcoin (and accepted my first bitcoin payment). Soon after, I spoke at the Bitcoin Expo in Toronto and became a member of the Bitcoin Alliance of Canada (BAC). At the time, it seemed to me that so many wonderful things were happening in Canada. This organization had a real opportunity to transcend political leanings and model new methodologies for consensus and transparency. For what it’s worth, I still believe that this is possible if we have the will and dedication to do the work. In 2016, I was elected to a director position with BAC. 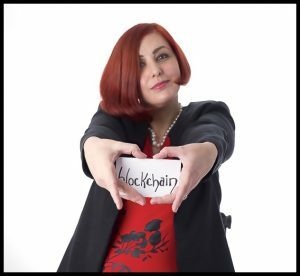 In December of that same year, a decision was made to change the name of the association to the Blockchain Association of Canada (still BAC). 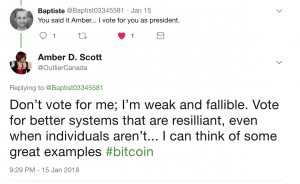 At that time, it did not occur to me (or to my fellow directors, as far as I know) that there could be confusion with another existing group, Blockchain Canada (BC). This was first brought to my attention by one of BC’s directors and has come up several times since then. At one point there was even talk of merging the two associations, which seems to have since died on the vine. While I believe that there may be many voices that represent our community in Canada, I hope that these voices will at the very least learn to harmonize (read: collaborate). As a BAC director, I have seen (and experienced) a degree of bullying, a lack of transparency, and mismanagement that has left me unwilling to continue in this role. While it is not my wish to air dirty laundry, I want to make it clear to the directors and volunteers who will replace me that you have a lot of work to do. I want to provide a public and transparent roadmap that is visible to my fellow BAC members. Unfortunately, this was not something that I was able to do as a director. Updating the BAC website in a way that supports these functions, and removing all other websites that have not been appropriately reviewed by BAC. While I love and want to continue to support the Bitcoin and blockchain community in Canada, I do not believe that continuing in my role with the BAC is the best use of my time, nor the best way that I can support the community. If you think that you’re the right person to step up and help with cleanup, I highly encourage you to do so. If you’re not sure, and you want to have an AMA, please reach out to me privately. My involvement with BAC’s board was my first experience as a director for a not-for-profit organization, though I have been involved as a volunteer, organizer, and leader in other organizations. I’ve learned a great deal from this experience, and I believe that it will help me to set solid parameters for my involvement moving forward. Speaking at events where we are able to add value (this is our #1 criteria for participation). Having well-functioning leadership in place. I understand that no person or organization is perfect – and that’s ok. There will always be problems to solve, and problem solvers hard at work – this is what keeps life interesting. In looking for specific functions and problem solvers already in place, I am not looking for perfection – only the opportunity to spend my time focusing on the problems that I’m best at solving. To my fellow BAC directors, I will miss working with the vast majority of you. I encourage you to carry on, fight the good fight and do what you think is right. I believe that BAC has tremendous potential and I hope that the organization finds both its feet and great success. To the bitcoin and blockchain community at large, and you’ve read this and thought “I could absolutely help solve that problem”, I applaud you and encourage you to get involved. Who knows, we may even sit on a compliance and regulatory committee together one day. Founder & Chief AML Ninja, Outlier Solutions Inc.